This week you get another Monday edition of Stunning Stitchin Sunday. It is kids consignment sale season again and I spent all weekend sorting through Jammer's clothes figuring out what from last year still fits (my kids don't grow fast) and what we have in the hand-me-down bins that will fit for this year. With having to have him try on most of it, it took 2 days to get done. Sunshine and I did her wardrobe last weekend. Now at least it is all sorted, the piles for the consignment sale are ready to be entered into their system and I have the list of what they still need to get through the fall and winter. Anywho...whatever kept you busy this weekend, I hope it was more fun than I had. Enjoy! I need to do that in my own closet!! Ugh! 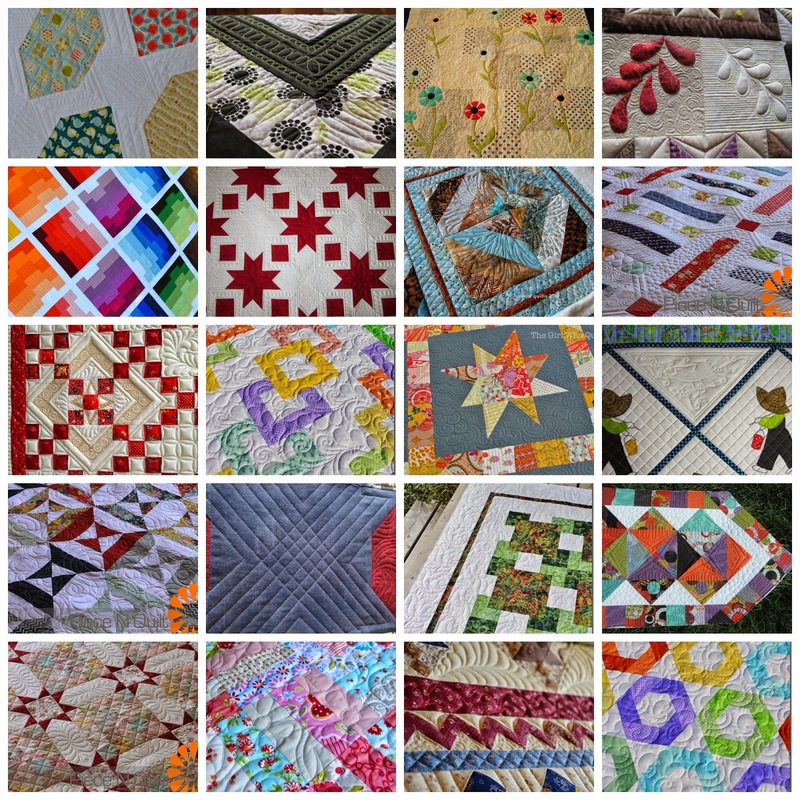 Thanks for sharing these quilts -- too talented, these quilters are!! !